It has been a number of years since I’ve been out, so I was surprised to learn that the dive boat which was dedicated for the site (the Garibaldi) had been dry-docked for a while. This means that any diving happening here is from boats coming from Long Beach/San Pedro area on the mainland, or coming up from Avalon area. This makes it much more difficult to organize dive trips with Two Harbors as a base as there is no local boat to help service divers. One never knows the whims of the CIC, who dictates what happens for much of the island. Two Harbors always feels like a quiet rustic getaway, but that is partially because of the time of year that we show up – in late fall. By this time of year most of the moorings are empty, a far cry from the 4th of July when almost every harbor on the island is pushed into overflow and the island is packed with people. This time of year we are able to stay in the overflow temporary staff housing, which has a bit of a trailer park/work camp feel to it. The cabins are all close together and offer a meeting area for cooking and gathering, so it feels a bit like going back to camp as a grown up. This is one of my favorite places to visit, and my favorite time of year. Needless to say I really enjoyed the trip and meeting folks from PowerScuba. I can’t wait to go back! 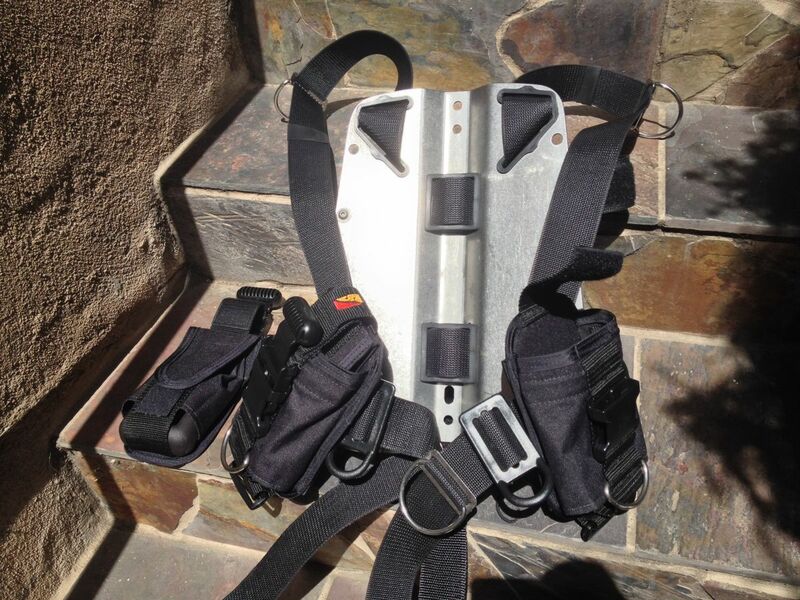 I’ve been using a diving backplate and harness from Deep Sea Supply for my scuba diving for a number of years now. The harness I use is somewhat Hogarthian, which in simple terms means it is a single piece of webbing and does not include any pockets or weight system integration. With this configuration the best method for using weights with a backplate is to use a weight belt, since it allows for separate ditching. However, weight belts and I don’t get along well unless I use suspenders, which then interferes with the harness and introduces entanglement scenarios I’d rather avoid. 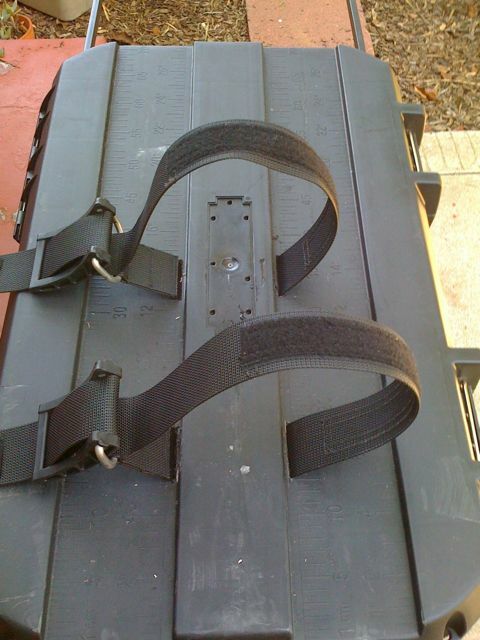 I started by using a combination of bolt on weight plates from DSS (which work great) and small weight pockets on the belt webbing near the base of the backplate. This works well but it means that I have a lot of weight on me which is not quickly ditch-able (weights can be removed from the small pockets, but not quickly). In an effort to avoid this issue I looked at a number of different options for adding ditchable weights to a backplate setup. The first complaint I had about the system for my usage is the webbing mount point when connected horizontally (the system supports both methods). In the horizontal scenario the webbing connection to the 2″ waist belt is quite loose and will side over standard weight keepers (as seen in the photo below). 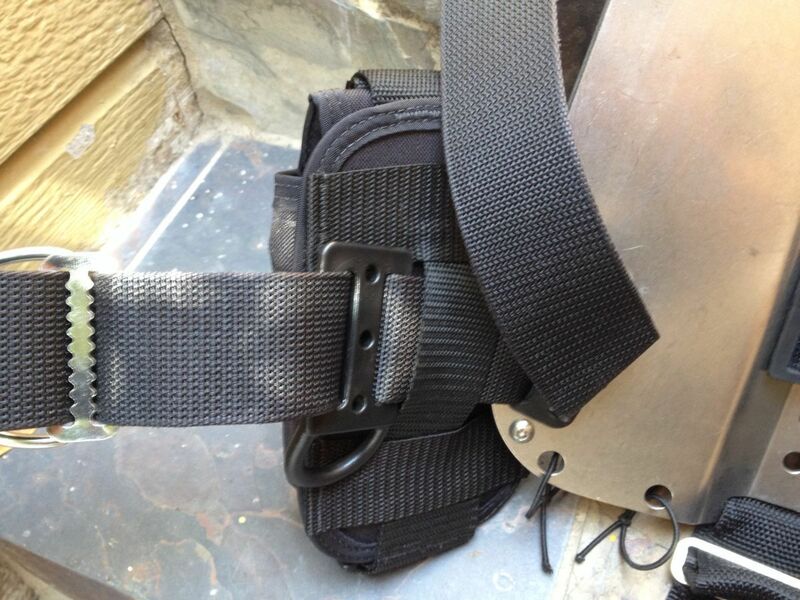 I had to purchase plastic weight keepers with extended D rings in order to keep the pockets in place and secured up against the backplate (as seen in photo below). The system loads easily and feels secure. The quick release pull works with an expected level of force, but I’ve found the extra velcro stabilizer strap requires a second expenditure of force to release, which could be confusing if a third party is doing the pulling in a rescue scenario. The product is priced well (nothing in diving is cheap) and feels quite well made. The manufacture says each weight pocket is able to accommodate 8 lb of weight for a total of 16lb, but I wouldn’t be surprised if you could double that. 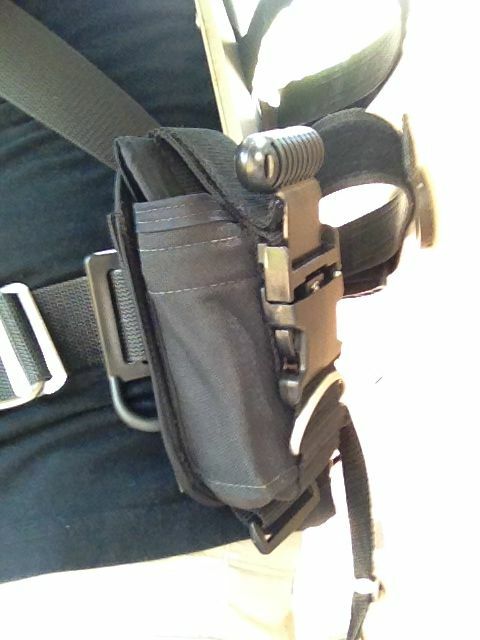 I’m using single plastic coated weights in each pocket, and it handles that with only 50% of the weight capacity used. If you are looking for a ditch-able weight system for a backplate harness (or any 2″ webbing harness system) I recommend giving this product a look. It is heavy. My previous experiences have been with plastic body housings and this has a very different feel underwater and above. I’ll need to think about adding some floats to achieve neutral buoyancy. It is well made. Everything is very well fitted together and machined, no need to worry about anything breaking on it. All buttons are accessible and easy to use. Next steps I need to get it fitted out with a tray, arm, strobe, and probably a video light of some sort as I have an existing one which can be converted. During our visit to the tip of Baja we enjoyed two days worth of diving. The first day of diving we stuck to relatively easy local sites. The first dive was at Pelican Rock, site of the famous (or not so famous?) sand falls. The sand falls were a mild curiosity for me, much more exciting were the huge schools of fish circling the rock walls. There were several large groupers hanging around, but none would let us get very close. Near the end of the dive we were able to get up close to some of the tangs, box, and butterfly fish that hung out around the rock’s walls. The walls are covered with some impressive fans and anemones and the site looks quite healthy. One thing to note – stay on the bottom until you are ready to join your dive boat as there is massive amount of boat traffic in the area. When we started the dive early in the morning we were the only boat around. When we finished and came up there were about 10 other boats anchored within a stones throw away. The second dive was on a wall just south of Pelican Rock. The wall was interesting, but again the shallow critters were a bigger draw. Large schools of fish, including large trumpet-fish were milling about in the 10-30 foot range around the rocks, snacking on salp chains that drifted into the area. The sand flats around the rocks were full of life as well – quite a few rays and guitarfish had buried themselves in the sand channels. The second day of diving was much more ambitious. We did some more advanced diving on an open water sea mount known as Gordo Banks (or Gorda Banks). The depth of the mount is about 115′, so we used 28% Nitrox for both dives. This site is known for the chance to see large open water critters like sharks, mantas, and tuna. Unfortunately for us, the visibility was quite poor for both dives. The water was green and less than 15 feet of visibility from 20-100 feet. Under 100 feet it cleared right up, it was a bit like stepping out of a fog. We saw some very large jacks (people sized) on both dives, in addition to some large schools of fish. We caught a glimpse of a small school of hammerhead sharks on the first dive, but they were in the pea soup green above us, and we couldn’t catch up to them. It would be a great dive site with better visibility. We saw a marlin on the surface during one of our intervals, and I hopped in to try to snorkel with it. I missed my mark or it didn’t like me – it was long gone. The trip back to harbor was against the wind and it took us several hours to get back to the harbor. Make sure you bring sea sickness meds if you think you might need them – several people fed the fishes, including our captain. I think our mixed diving results have a lot to do with the strange weather patterns in the pacific this year. The water was much colder than they are used to (water temp at depth was 63-64F) and it seemed like summer wasn’t quite there yet. It definitely warrants another attempt when we make it back down again, you never know what you will see in the open water. My 3mm Henderson InstaDry gloves are mostly ratty fingerless gloves at this point. After a particularly cold dive (50 F) I decided it was time to join the warm hands crowd and get some drygloves. * the glove is attached to the suit and makes working with gear very difficult after your drysuit is on. 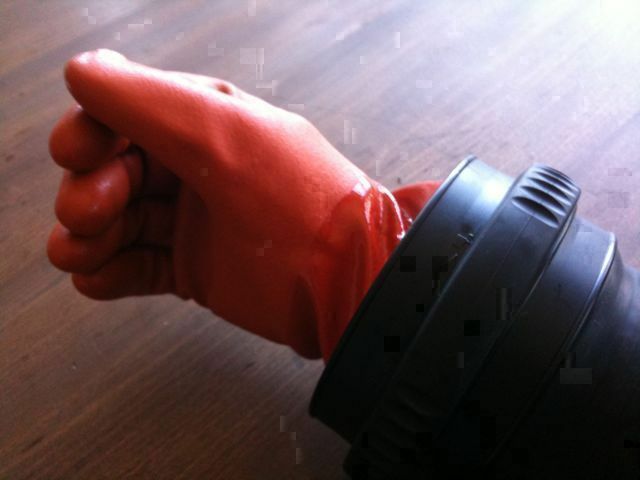 * for glove designs where the seal is replaced, a hole in the glove means a drysuit flood. I wanted to avoid the above pitfalls, so I took my time and did some market research. The best option I found was the Glove Lock ring system from SI Tech, a Swedish company. At roughly $180, it is not the cheapest option (nothing in diving is cheap, though the system may be cheaper in the long run), but it does seem to be the best solution for me. The Glove Lock system uses rings and a sealing system that allows it to quickly attach plain (and cheap) waterproof gloves to an existing drysuit wrist seal. 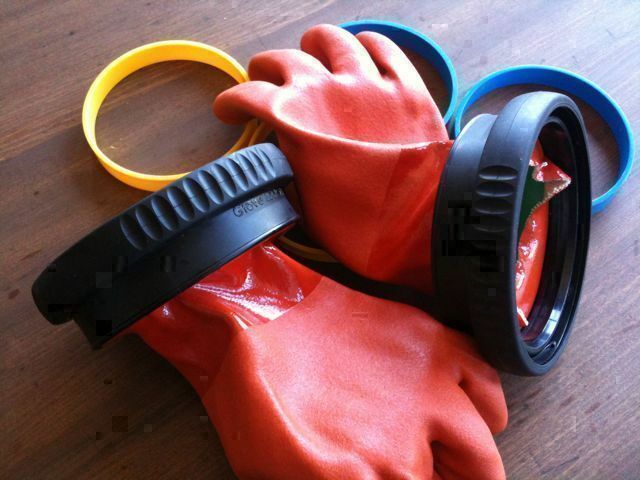 Once in place, the gloves can be removed before and after the dive, making suiting up messing with gear much easier. The Glove Lock system only includes the plastic rings and seal system. It is up to the user to find the appropriate waterproof glove to attach to the system, and an insulating glove for underneath. I value my dexterity underwater, so I chose some Atlas 620 fishing gloves to serve as the waterproof layer. 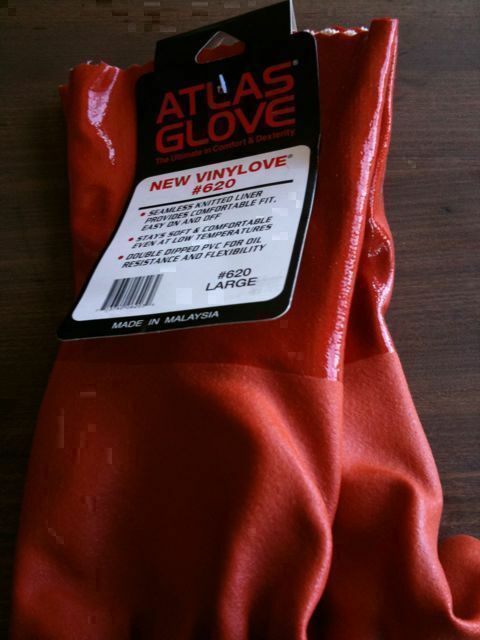 Unlike the blue smurf gloves, the orange gloves are only dipped twice. This means they are thiner – easier to handle gear, but not as durable. At roughly $4 a pair, I’m not terribly worried about replacing them eventually. I am using a pair of Mnt Hardware powerstretch gloves as an insulating layer. They are not thick enough for more northern waters, but seem perfect for the low 50s I usually dive. Because the system leaves the wrist seals in place, it means that a glove leak won’t flood the suit. However, it also means that the user has to equalize the gloves with the rest of the suit. SI Tech includes some plastic straws to go under the wrist seal, but I found I was able to equalize the gloves by keeping a bit of my insulation gloves under the wrist seal. 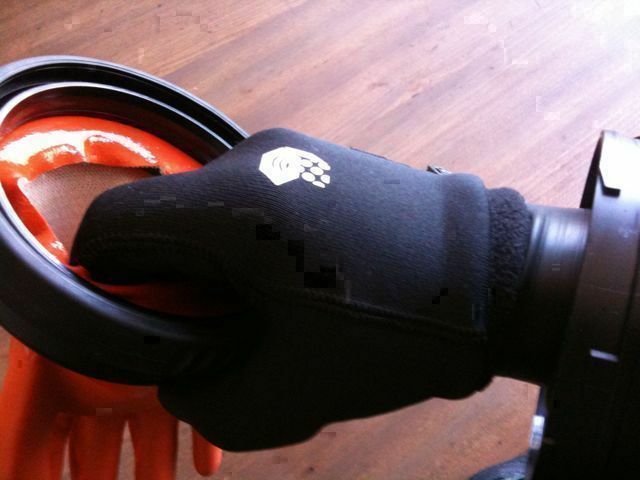 The small air gap allows air to travel into to gloves if I briefly hold my hands higher than the drysuit bubble. How do they work? Pretty well. Gloves are the last piece of gear I put on before jumping in, so I don’t have any issues with equipment management. Under water, the combination is dexterous enough for me to use small boltsnaps and camera controls without issue, and my hands are toasty warm. Occasionally I need a hand to unlock the seals after a dive, if my gloves and seals are still too wet, but the vast majority of the time they can be used solo. I added some extra weight to my rig to offset the new buoyancy, but I’m probably an extreme case that way – my old beat up gloves were essentially neutral. I’ve only used them for a few dives, but so far I’m very happy with the system. I highly recommend them compared with the other options out there. The only thing that could be better about the system is cost – but cold water diving is such a low volume industry it is bit surprising they cost as much as they do. Last weekend I did two dives on the Yukon with Pete, Paul, and Matt. I wasn’t expecting much, as the water can be green and brown this time of year. We were amazed by the water quality on the first dive. Though snowy, the water was very blue – it was like diving miles off shore. The other thing that was very different was the amount of open water (pelagic) critters that were near the Yukon. You usually have to be miles off shore to see the types of invertebrates we saw on the wreck – salps and salp chains, fried egg jellyfish, and comb jellies. It was very interesting to see them all drift by, watching their mostly clear bodies feeding on phytoplankton. It is amazing how much the ocean can change in an hour. The second dive was still good, but the water had turned from a deep ocean blue to a green hue. There were still a number of salps hanging around in the water column, but they were getting picked apart by blacksmith schools. Adam, Paul, Pete and I took the Dana Point ferry over to Avalon for a day of diving. It started overcast and turned into a lovely sunny day. I need to take more Fridays off. 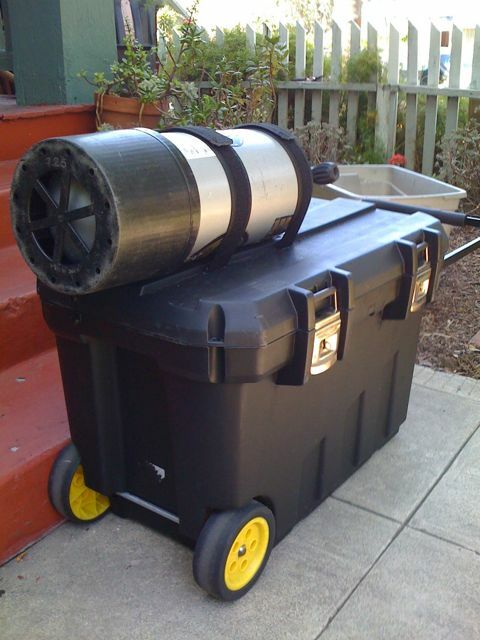 Adam joined the club and picked up a Stanley 24gal tub for transporting gear aka dive box on wheels. Pete and Paul tried out their new DSS backplates. 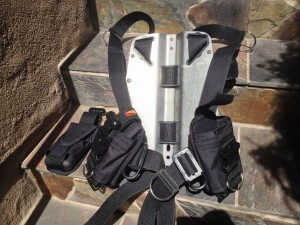 We are starting to look like a scuba gang from the 50’s – same box, same dry suit, same backplates. Hmmm. We need some sort of snap dance to intimidate other gangs. 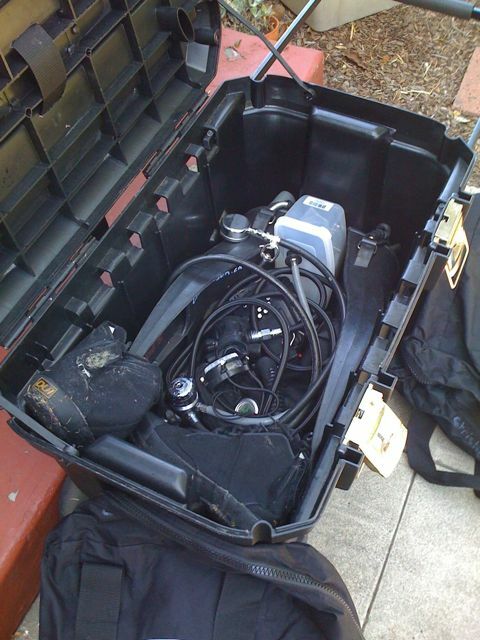 Like many divers I used to store my dive gear in a large plastic bin. The bins are cheap and keep any salt water out of the car trunk. 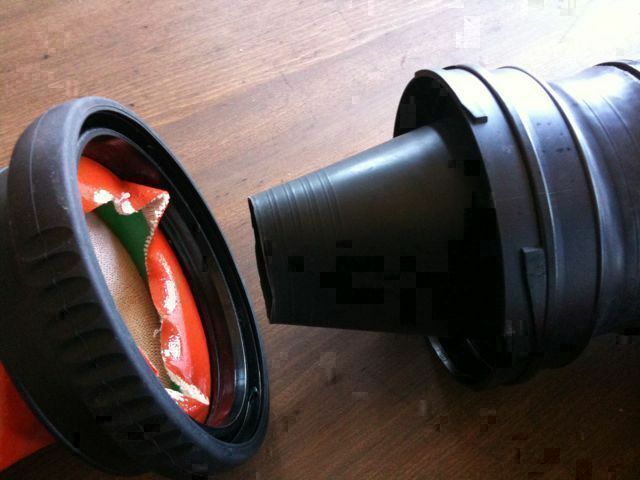 Eventually I dropped my bin the wrong way and cracked it one too many times. I started searching for a better system. Over on scubaboard a fair number of people were using large plastic tool chests or carts as portable dive lockers, with good results. I headed over to Lowe’s and picked up a Stanley 24 Gallon Mobile Job Chest. The chest is cheap ($50) and just large enough to fit all of my gear, including the drysuit & undergarment. I’ve used the box for about 6 months and other than some surface rust on the latches, it seems to have held up well. It is great for dragging gear over longer distances, like marinas or walking from the ferry to casino point in Avalon. Another benefit is the metal latches – I was able to use a padlock & cable to lock it to a bench while diving Casino Point. The one thing the box didn’t help much with was my tank. On a trip to Catalina I tried using a ratchet tie down to strap the tank to the back of the box. It mostly worked, but felt a bit wobbly. I was constantly worried the tank was going to slip out. A form member posted some photos of an interesting modification to the tool box. 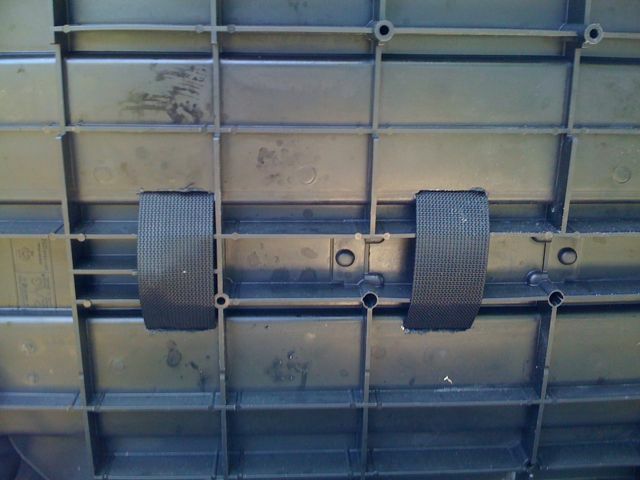 He cut holes in the top of the box and added cam bands for attaching the tanks. This looked like a great idea and I wanted to try it out myself. 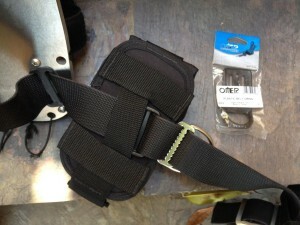 I bought some cam bands from Deep Sea Supply and borrowed tools (a dremel & saw) from Pete & Paul. As you can see from the photos, we cut the cam band holes near the back of the box. I have a steel 80 tank in the photo, but a steel 100 or AL80 would hang off the back even more. This might seem a bit strange, but it was done for a good reason. With the weight of the tank extended over the back, it balances the weight of box over the back wheel. In fact, if the heavy items are loaded at the back of the box, pulling the whole package is quite easy. Cutting the holes for the cam bands was more work than I was expecting, but the results are worth it. I hauled my gear and tank around Avalon a week ago, and walked a couple blocks back from the Shores to the car this weekend with little effort. The long term durability of the axle, lid and hinge remain to be seen, but there are no signs of stress or warping thus far. I’m hoping I get get a couple years of use out of it. Update 2014: The dive box is still going strong. The latches and other bits of meta show some rust, but everything is holding together well!